Installed from upstream source code to /var/www/mibew. 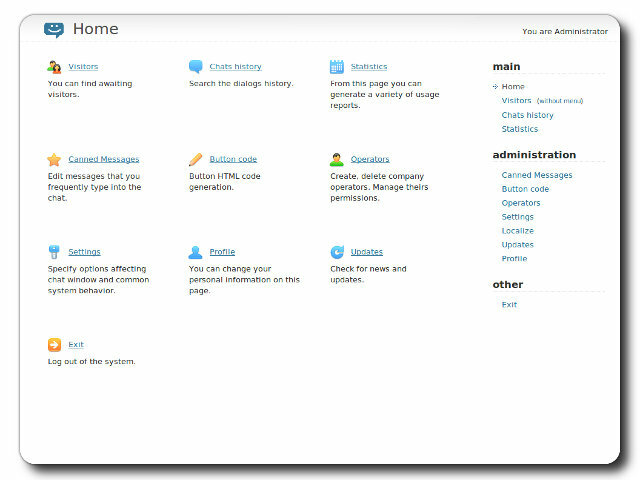 Includes TurnKey Web Control panel ( http://YOUR_SERVER/cp ) with embedded chat button for testing, and links to useful references (convenience). 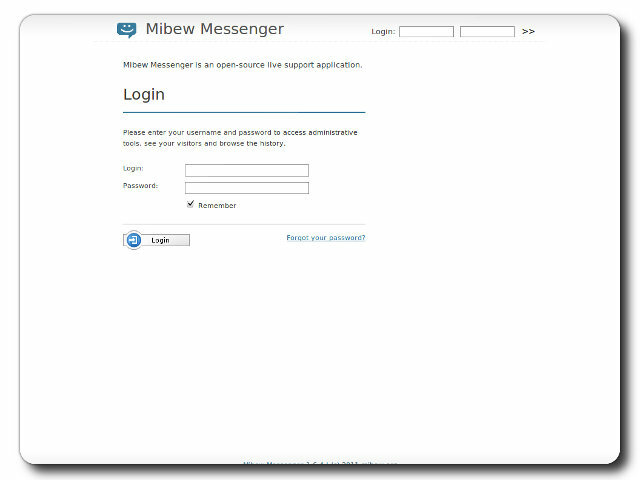 Security note: Updates to Mibew may require supervision so they ARE NOT configured to install automatically. 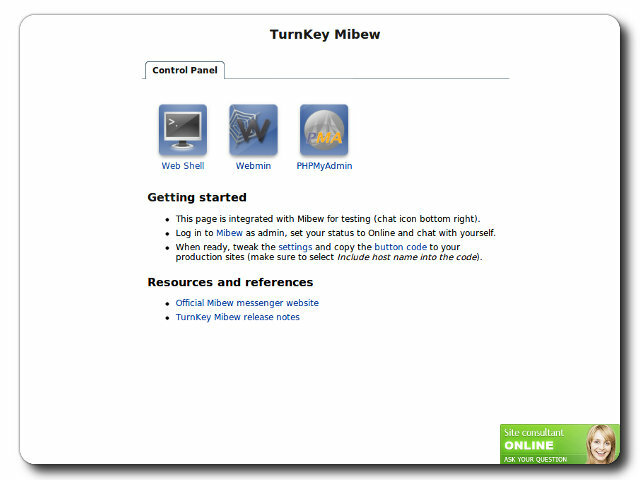 See Mibew documentation for upgrading.